This summer has been unbearably hot for me. I’m a Winter lover because when it’s cold you can add more layers. When it’s this hot there’s no way to get cool. Even with 2 ceiling fans and a floor fan on full power, it’s still too hot for me! 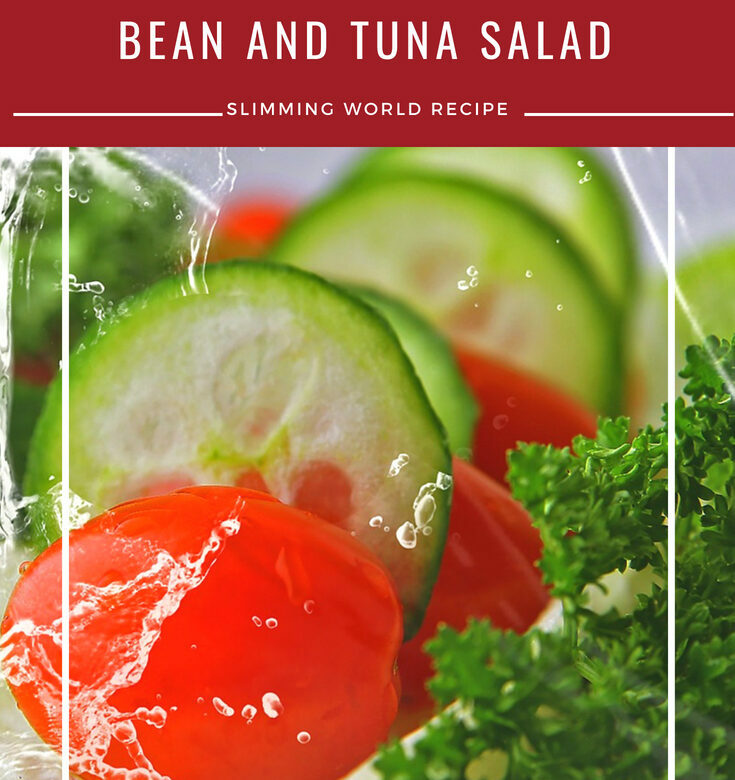 When it’s hot I don’t feel like eating hot meals but I get fed up of our usual lettuce, tomato and cucumber salad so I was pleased to find this bean and tuna salad on the Slimming World site. Put the butter beans in a large bowl. Cut the drained tuna into chunks and mix into the beans with the red onion and parsley. Season to taste with salt and pepper. Mix all the dressing ingredients and pour over the tuna and beans. Toss gently together until everything is glistening with the dressing. Arrange the salad leaves on 4 serving plates and pile the bean and tuna salad on top. Sprinkle with more parsley, if wished.